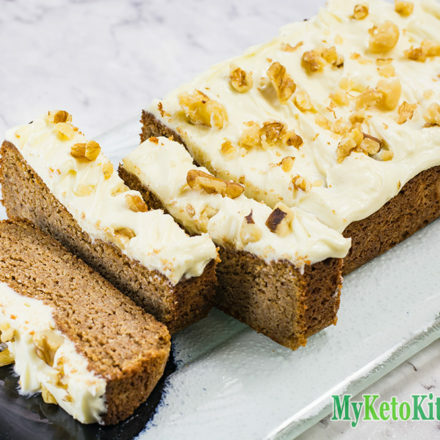 Keto Gingerbread Cake - With "Low Carb Frosting" - No Added Sugar! 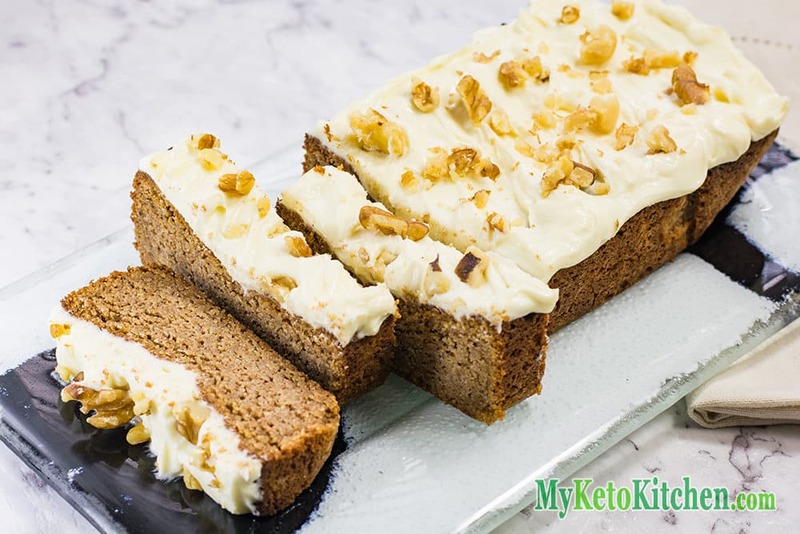 Check out Keto Gingerbread Cake we have both the ingredients and instructions for the loaf and the frosting, it’s the perfect low-carb dessert for any occasion. The un-frosted loaf can be frozen for up to 3 months. To defrost, remove the cake from the freezer and leave in the fridge overnight. It will be ready to ice in the morning. Have you tried our Eggnog Cheesecakes? They’re one delicious keto dessert that you’ll be making all year round! We love Natvia sweetener and understand that it can be difficult to find in other countries (it is available on Amazon worldwide through the link above). If you cannot get your hands on it we recommend granulated Erythritol for the loaf and powdered Erythritol for the icing. 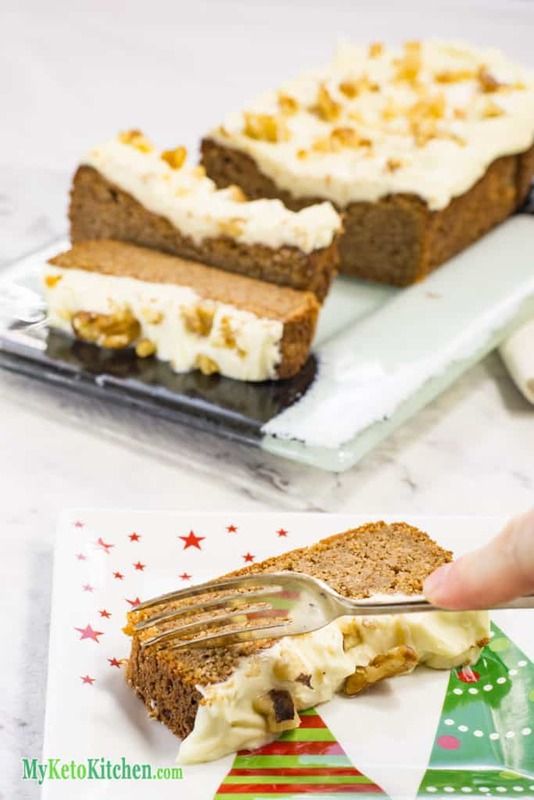 We’ve designed this low-carb gingerbread cake recipe to make 10 generous serves. The gingerbread loaf can be sliced into smaller pieces to suit your requirements. Preheat your oven to 165C/330F. Add the butter and Natvia to your stand mixer and cream on medium speed using the whisk attachment. Add the vanilla, egg and cream cheese and combine. In a mixing bowl, add the remaining loaf ingredients and mix together. Gently fold the dry ingredients into the stand mixer. Pour the batter into a 9x5in loaf tin, lined with parchment. Bake in the oven for 50-55 minutes, until a skewer comes out clean when inserted in the center. Allow the loaf to sit in the tin for 15 minutes before removing to a wire cake rack to cool completely. In your stand mixer, combine the cream cheese, vanilla and Natvia Icing Mix. Mix on medium speed until smooth. Spread over the cooled loaf and top with the chopped walnuts. Cut into 10 slices and enjoy. Keto Gingerbread Cake - With "Low Carb Frosting" - 100% Sugar-Free! You'll love this Gluten Free Cake Recipe. Moist, sweet and subtly spiced our Low Carb Frosted Gingerbread Loaf is the perfect addition to any occasion. Did you know that all of our Keto Recipes are Gluten Free? Because we don’t use any grains or flour that contain it. To make a larger batch of this Keto Gingerbread Recipe adjust the serving amounts above. You’re so sweet! Thank you for your lovely comment, it’s made my day brighter. Hi! I was wondering what can be substituted for the natvia icing mix. I’m excited to try this! Thank you for posting it with both conversions! You can use your preferred powdered or confectioners sweetener. Hi! 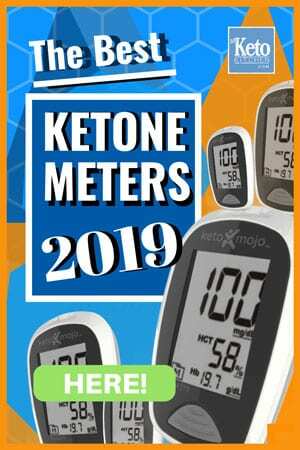 I’m brand new to the Keto diet. Most other recipes like this have called for Swerve sweetener… Is it ok to swap the Natvia for Swerve? We don’t have swerve in Australia, but you can certainly swap out any sweetener we suggest for one that you prefer. I hope that helps.